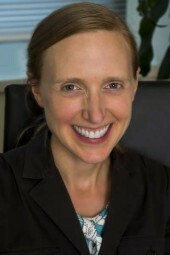 Elizabeth graduated from Harvard Law School in 1999, joined SPR in 2000, and has been a principal since 2010. Elizabeth’s practice involves environmental impact assessment and litigation under the State Environmental Quality Review Act (SEQRA) and the National Environmental Policy Act (NEPA). She defends land use and other determinations made by municipal and state agencies when legal challenges are filed on environmental grounds. Elizabeth advises developers and other entities with respect to environmental permitting and enforcement actions, and negotiates on their behalf with governmental agencies, particularly in the areas of wetlands and marine work. Elizabeth’s broad litigation experience also includes matters relating to environmental permitting standards, environmental contamination, administrative law and contractual provisions.